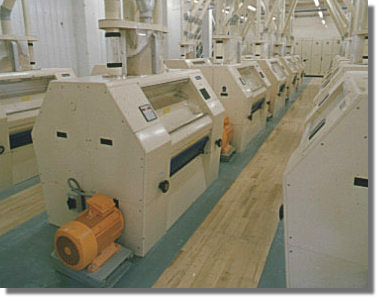 Rollermills operate using a pair of grinding rolls fed by an independently driven pair of feed rolls. The rate of product entering the machine is controlled by a microprocessor that monitors stock levels and automatically adjusts feed roll speeds. The main grinding rolls are engaged and disengaged using pneumatic cylinders. 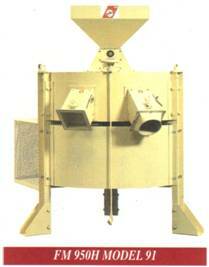 Each rollermill has two grinding sections with feed rolls and a control system for each. It is in effect two independent machines mounted back to back on the same chassis. 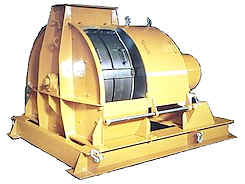 Rollermills are available in either single or 'two-high' configurations. The new Satake SNR Rollermill is the very latest in cereal milling technology. The new features of the SNR are a true step change in machine and process design. The SRM can be used for grinding a variety of products including wheat, maize, flours, rice, spices, plastics/polymers, carbon black, etc. The Satake SRMD incorporates all the technology of the single SRM, but has twin rolls to save space in the mill. The Satake Roll Change Trolley makes changing roll packs on the SRM Rollermill and SRMD Two High Rollermill quick and easy. The Satake SPM Pin Mill is a multi purpose in-line machine specially designed for high rotor speeds for high continuous grinding, infestation destruction and mixing a wide range of cereal products conveyed under suction (vertical mount type) gravity or suction (horizontal mount type). The machine also has applications in sugar milling and casein milling, where stainless steel versions are used. Satake manufacture high quality, energy efficient hammer mills for the coarse grinding of poultry and livestock feeds, the fine grinding of meals for aqua feed and for uses in a variety of industries for grinding organics and minerals. 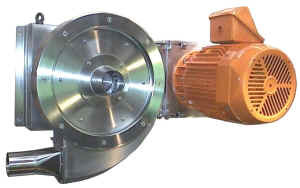 The Satake Ripple Mill is a low speed mill for the efficient cracking of palm nuts. 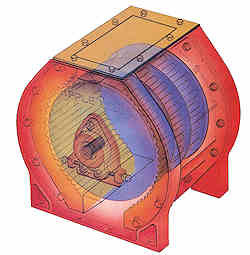 The nuts enter the top of the mill and are impacted several times between stationary plates and the turning rotor. 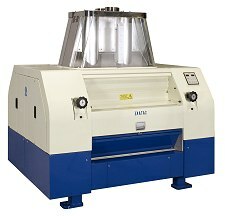 These tough, durable machines are manufactured in Denmark and are of exceptional quality. They are in use in Australia and New Zealand grinding spices, herbs, maize, wheat, peas and a variety of speciality grains.